Production was till 1990 ! It was as if the first German and French ‘people’s cars’ programmed the further development of motorization in these countries. The VW Beetle was designed so that it could fly down the Autobahn at 100 km/h (which was very fast in 1940), while the Citroën 2CV was primarily made to keep eggs from breaking and croissants from being crushed when being transported on bad roads. A strange coincidence, but since the Beetle and the 2CV, it was precisely these features that became dominant: the Germans developed cars that were increasingly faster and better-controlled, and the French did their best to ensure as soft a ride as possible. But today, our hero is the Frenchman, so we will talk about him. 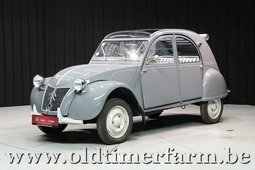 Citroën chief engineer Pierre-Jules Boulanger came up with the idea of creating a car for the masses back in 1934 while watching farmers who were still using horses and carts, bicycles or even wheelbarrows to transport their products to the market. 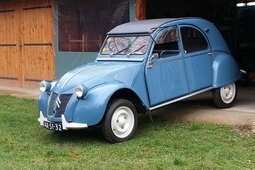 And if you think your car doesn’t have a lot of equipment, then you should see the first 1937 prototypes for the 2CV. They didn’t even weigh 400 kg, and the two-cylinder 375 cc engine had all of 9 hp. As far as additional equipment, there was only a single headlight and tail light, one windscreen wiper and a speedometer. It didn’t even really have a boot lid – in its place there was a roll-back canvas cover (that also happened to be the roof). Metal tubing slung with cloth served the role of seating. 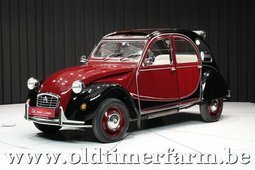 The war altered production plans, so the 2CV only made it to the assembly line more than a decade later, in 1949. Equipment of some sort was gradually introduced – two headlights and tail lights, turn-signal lights, an ignition lock cylinder (previously there was just a button), a steel boot lid in place of the canvas cover, and the engine in later versions was already a bit larger and could achieve a whole 29 hp. 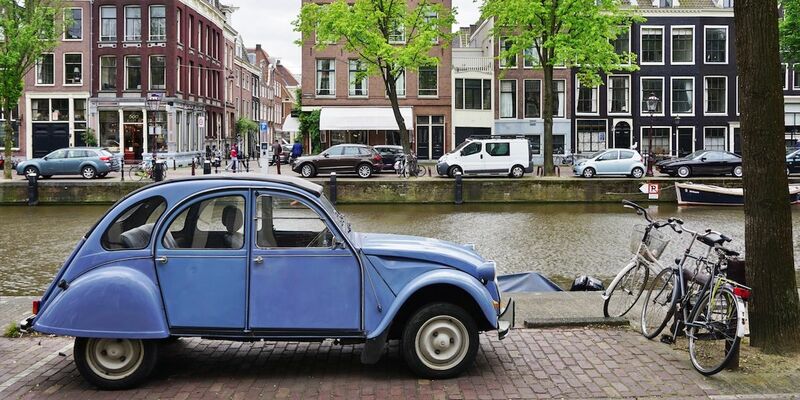 This is not a car for fast driving – the 2CV remained on skinny 125mm tires over its entire production period, so the car’s stability at higher speeds is not even worth discussing. However, the ‘Ugly Duckling’ (as it was dubbed by the Dutch) had a few wonderful features. Its suspension really was very soft, even on bad roads (which were still quite abundant in Europe in 1950–1970); it was a comfortable ride, cheap to buy and didn’t use much fuel. And most importantly – its reliability was simply epic. Of course, this was partly because there wasn’t much to break, but also because it was designed with technical ingenuity and manufactured flawlessly. Its engines usually lasted the entire life cycle of the car (which in those days was longer than now, anywhere from a dozen to several dozen years), which is even more impressive when you know that weak engines used to work nearly all the time at maximum engine speed. 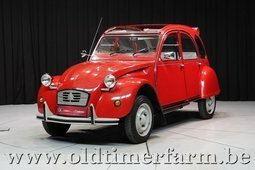 The 2CV concept itself was so successful that another French company – Renault – was all but left to copy it, coming out with the Renault 4 in 1961, which was no less of a success. 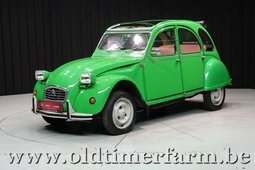 More luxurious derivatives of the 2CV were later introduced, with the Ami 6 and Ami 8 in 1961, and the Dyane in1967. The Charleston – probably the best looking model and the most sought after by collectors – came out in 1980. 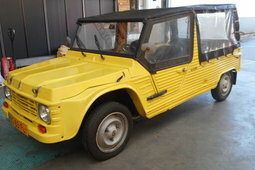 There was even a 4x4 version – the Sahara. Truth is, you might not call the 2CV pleasing to the eye, but it does have some sort of incredible, purified functional aesthetics. If Antoni Gaudí had designed cars, I think he would have come up with something similar. Models in decent condition start at EUR 6,000, and you might have to pay twice as much for a Charleston. Not much for a car that was driven by James Bond.